Giant Playing Cards: Each Jumbo Playing Card Deck Measures 8 x 11 Inches! This Giant Playing Card Deck measures 8" x 11" and is great for parties, decorating, special events, and more! 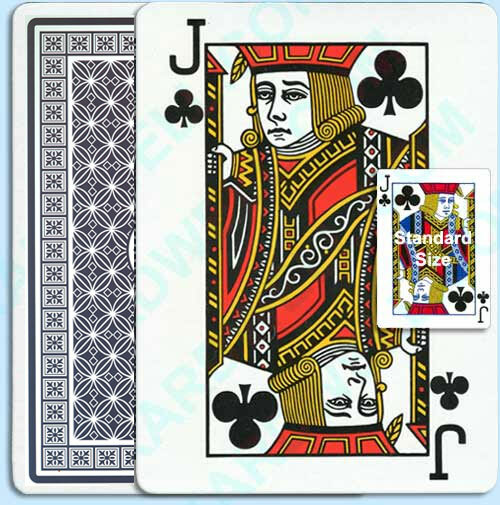 For additional information or wholesale pricing on Giant Playing Cards, please call 1-800-233-0828. Sale Price: $22.25. Was $44.50. Save 50%!